On Thursday, October 5, 2017, the CHS Nevada Chapter gathered for their annual G2E (Global Gaming Expo) Happy Hour. 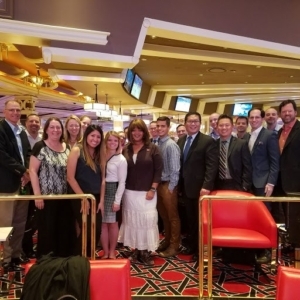 This year’s event was held at the new and improved Wynn Race & Sports Book in Luxury Boxes 1 & 2 at Wynn Las Vegas. On April 2nd CHS Nevada hosted the 10th annual Scholarship Golf Tournament.